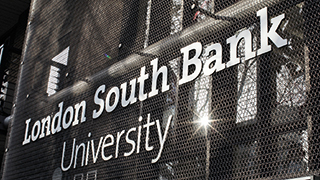 Home » Study » Why choose LSBU? With teaching from professionals and specialists in their chosen fields plus relevant, practical experience, we’ll equip you with the knowledge, opportunities and skills you need for a successful career. It’s why we’re an unprecedented double winner of the title University of the Year for Graduate Employment - The Sunday Times Good University Guide 2018 and 2019. Location – our campus is in the centre of London, where we have strong partnerships with the industries that surround us: finance, health, the arts, sciences, culinary, law, education, engineering, construction, architecture. Teaching – our courses are accredited or designed in partnership with employers and our focus is on personalised learning. We’ve been awarded Silver for Teaching Excellence (TEF). Employability – our courses are career-focused and alongside mentoring, we offer the opportunity to undertake placements, internships or work experience. Before and after graduation our Employability Service will support you in finding a job, interview techniques and more. Facilities - are extensive, cutting edge and highly specialist. From state-of-the-art virtual engineering labs to Elephant Studios, our multi-million pound media facility; in fact, specialist laboratories for almost every discipline. Community – feeling you belong here matters. The practical support you’ll receive leaves you safe, settled and ready to study. See and hear what studying at LSBU is really like. 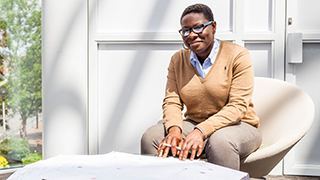 Learn from our students about the opportunities LSBU has given them.